A radical departure from traditional driver-face design, Twist Face is engineered to take you farther and straighter… right down the center of the fairway. Twist Face presents a revolutionary new face curvature with a corrective face angle on off-center hits, engineered to reduce side spin and deliver straighter shots. By providing more loft in the high-toe and less loft in the low-heel, this groundbreaking technology produces more consistent side spin in the areas where golfers commonly mis-hit. HAMMERHEAD SLOT TaylorMade’s new Hammerhead slot creates a massive sweet spot that pushes the limit of ballspeed to produce distance and forgiveness across the entire face. The reinforced outer portions of the slot allow for a lighter, more flexible face, while the center portion of the slot increases ballspeed on low-face strikes and drops spin for more distance. The result is a powerful and forgiving driver that delivers exceptional sound and feel. 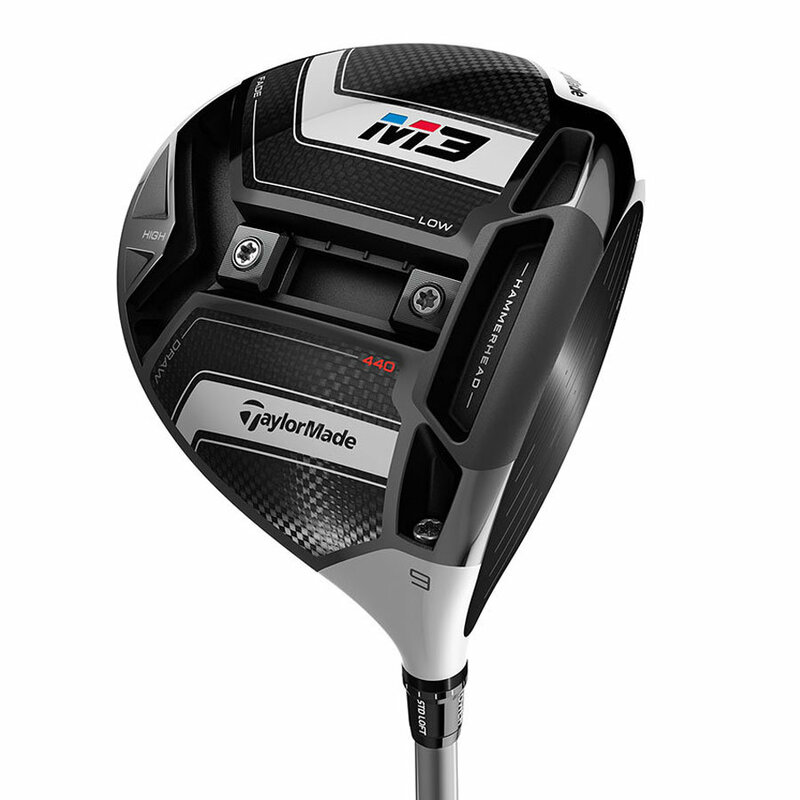 Y-TRACK The M3 driver features a new Y-Track, which offers two seamlessly movable weights, allowing golfers to adjust their settings for optimal trajectory, maximum forgiveness, or raw speed. Simple and intuitive, the Y-Track delivers a completely connected track system for the first time, giving golfers unrestricted movement of 22g of mass (two 11g weights).